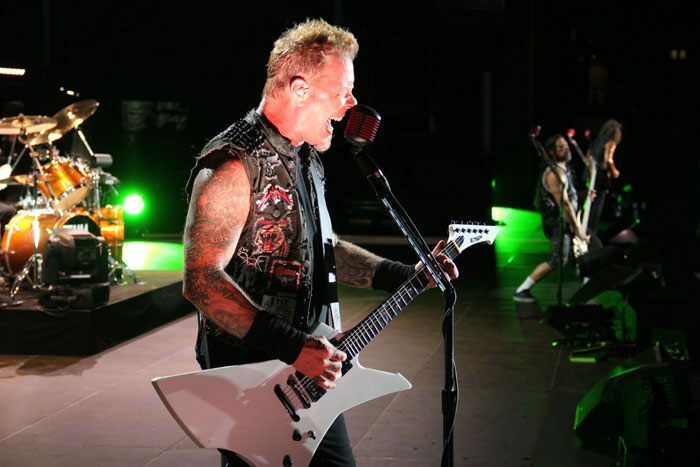 Metallica kicked off the opening night of Australia’s Soundwave festival on Saturday in Brisbane. The day-long event features 6 stages; among those joining Metallica on the main stage were Linkin Park, A Perfect Circle, Slayer, Stone Sour and Anthrax. The traveling festival will also hit Sydney, Melbourne, Adelaide and Perth.